Who is Ms. Green Construction? We are a family company that was developed because we saw a need within the community to provide high-quality products and exceptional service at a reasonable rate. Our 20 years of experience has gone into the formation of our company. We are a female-owned construction company who believes that it is our responsibility to provide you with the same care, reliability, high-quality products, and respect we would require and use in our own homes. We are a company that not only cares about the larger environment as a whole, but one that also cares about the individual needs and desires within the community. We ask that you let us show you how our years of experience and meticulous attention to detail can work for you. We are the one contractor that will not let you down! Please call for a no-pressure, honest proposal with no obligation. You will experience a friendly attitude with the individual attention you deserve. We understand your concerns about price and quality and we will treat your home or condominium with the same respect and reverence we would our own. Please give us the opportunity to provide you with an estimate that will pleasantly surprise you and craftsmanship that you will be delighted with for years to come! April Rue is the President of Ms. Green Construction. Her devotion to high quality environmentally friendly home improvements is only matched by that to her two children. 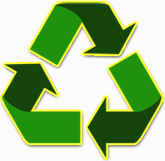 April is qualified and licensed in every area of construction holding a Bachelor's Degree from the University of Michigan and certification from the Environmental Protection Agency as an EPA certified renovator. April also holds certifications from the Building Preformance Institute as a certified energy envelope professional and as a certified energy audit professional. 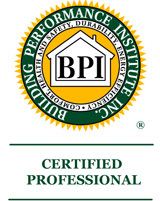 April is also an internationally certified Mold Remediation and Water Restoration Contractor. April is one of the few women nationally with the above certifications! April is also OSHA (Occupational Safety & Health Administration) Certified. 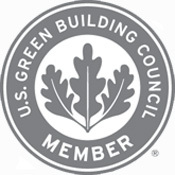 April is an active member of the Association of Energy Engineers and April, with Ms. Green Construction, is a member of the US Green Building Council. We fully support their mission: To transform the way buildings and communities are designed, built and operated, enabling an environmentally and socially responsible, healthy, and prosperous environment that improves the quality of life. Allow our expertise into your home to improve your home! April was born and raised in Detroit and started her first business refinishing decks at 18 years old. Through this successful venture, she was able to help her family financially, pay her way through college and gain invaluable experience in the construction and home improvement industry. April's childhood experiences and the inspiration of her teachers in pushing her to make more of her life have instilled her with an incredible gratefulness, desire to continually improve and most importantly to give back to the community. "Because our roots are from the community, our goal is to establish unique and profitable ways to give back to our collective communities. We believe you are not only supporting a local company, you are supporting our life-long mission of giving back what we are so appreciative to have…That is, of course, a chance to learn and grow." Ms. Green Construction is always focused on providing you with the highest quality home improvements, excellent customer service, and the best price. We are also committed to researching the latest innovations in materials and processes in our industry to help to lessen the impact that we and our homes have on the larger environment.